Each title improving in roster depth, fighting mechanics, and overall experiences is what has made the Street Fighter name one of the most recognizable and beloved game series in the history of video games. 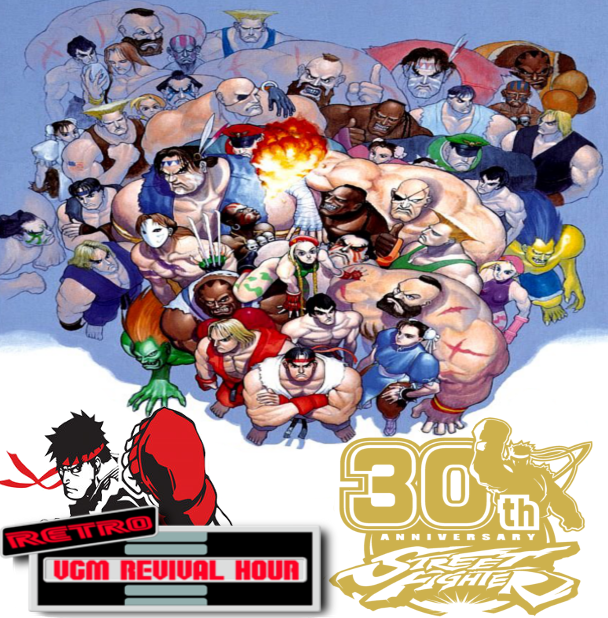 And this is why This STAGE of the Retro VGM Revival Hour is dedicated to some of the most amazing tracks from the various games, sequels and spin-offs in the street fighter legacy to celebrate this franchises 30th anniversary…. so lets get started!